Maybe you’ve noticed – I’ve been on a little hiatus. Things are going just fine, still dancing and all that but I guess there just doesn’t seem like much noteworthy to share recently, well, except that on my last lesson we went to a new studio and there was another couple there that Ivan and I know from competitions and they were totally having all these dramatic spats! It was kinda uncomfortable but kinda funny at the same time because even though they’d yell at each other like cats, and storm off to opposite ends of the room, two seconds later they were smiling and dancing again. I wouldn’t necessarily say it’s healthy, but it seems like that is how they communicate, how their relationship is set up. To each his own. But I digress. This is not the main purpose of my post today. Will you also please tell Stefanie that I actually found and read her blog when I was doing research for Mambo in Chinatown? Isn’t that a coincidence? I’m a big fan of hers! I love her voice and enthusiasm. I enjoyed hearing her insights about the world of ballroom very much, and I absolutely share her passion for ballroom! Yours truly was lucky enough to get an advanced copy which I really enjoyed and then, even better than that, I had the opportunity to ask Jean some questions as well as get some exclusive photos of Jean herself, dancing, which I will share with you presently. Because guess what? Jean is the real deal. Not only has she danced ballroom, she was a professional and even competed both with professional and amateur partners, once upon a time even with Jose Decamps! Charlie Wong is the main character, an American-born Chinese girl 21 years of age. She lives pretty miserably as a dishwasher with her widower father and younger sister. She gets a job as the receptionist of a ballroom studio and her world changes. We follow Charlie’s journey as she blossoms through her exposure to the ballroom dancing world even as her sister becomes chronically ill. While Charlie comes to understand more of the Western world, her father continues to be suspicious of it and insists his youngest daughter be treated only with Eastern practices. Charlie is left to reconcile where she has come from with who she has become. So without further ado, here we go with the exclusive Q and A! I’m pretty excited about it! Biggest Girl In The Ballroom: When did you start dancing? I was terrified but I wanted that job so much. I passed the interview and was invited to an audition. At the audition, they picked about twenty of us to join a three-week training class. At the end of that class, miraculously, they hired me at Fred Astaire and that was the beginning of my truly learning how to dance. Biggest Girl In The Ballroom: How long have you danced? Jean Kwok: I worked as a professional ballroom dancer for three years. It was so hard to learn to dance well, and yet it was one of the most exhilarating things I’d ever done. In that time, I did shows, competitions and taught students. I still love to dance but unfortunately, I am married to a wonderful man who does not dance. I guess you can’t have everything. 😉 In the process of doing research for Mambo in Chinatown, I not only came across this wonderful blog of yours, Stefanie, but I also went back into the ballroom world. I danced a salsa with Jungie Zamora at Fred Astaire East Side Studio, which is now owned by my dear friends, famous choreographer and coaches Taliat and Marina Tarsinov. We filmed this salsa and I’ll release it on my website soon. 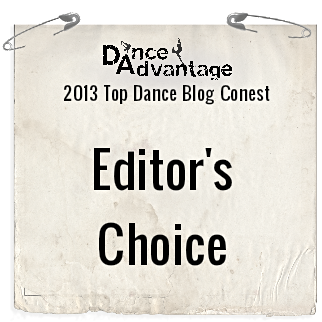 Biggest Girl In The Ballroom: What is your favorite dance style? Jean Kwok: I love all of the dances: the speed and precision of a Viennese waltz, for example; the poise and grace of foxtrot; the hypnotic rhythm of tango; but I have to say that my heart belongs to the Latin dances. Mambo, rumba, cha cha are so unfettered, passionate and intense, while requiring tremendous discipline at the same time. I love doing high-speed turns and I enjoy the complexity of interaction with my dance partner. Outside of ballroom, I also love just going out dancing and rocking the night away. I’ve been hoping to get a group of dancing writers together but thus far, no success. Biggest Girl In The Ballroom: Do you compete? Jean Kwok: I competed with my students and with professional partners as well. I had some wonderful students and we competed in all dance styles as Pro-Am couples. With my professional partners, I competed in Latin. In fact, I danced briefly with Jose Decamps, now 4-time US and 3-time World Rhythm Champion. Jose and I had some great times together. I won Top Professional Female at Fred Astaire National Championships right before I left ballroom. Leaving dance broke my heart but I needed to pursue my dream of becoming a writer, so I went to Columbia to get my MFA in fiction. Biggest Girl In The Ballroom: Is the story autobiographical in any way? How so? Jean Kwok: I think that fiction is for me, always a veiled way of telling the truth. Like my heroine Charlie, I had always been considered clumsy and not-too-bright by my family. I was dreamy and no good at any domestic skills whatsoever. I burned everything, I hated to clean, I was opinionated and stubborn. (I’m still like that, actually.) Unlike Charlie, I was born with a gift for school, which is kind of like being born with an extra toe. I’ve often thought that if my gifts had been reversed, if I were good at cooking and cleaning and not gifted at school, I would be most likely working in a restaurant somewhere today. That was the beginning of Mambo in Chinatown. I wanted to tell the story of a seemingly talentless young woman who discovers something she loves – ballroom dance – and thereby unleashes her own gifts. 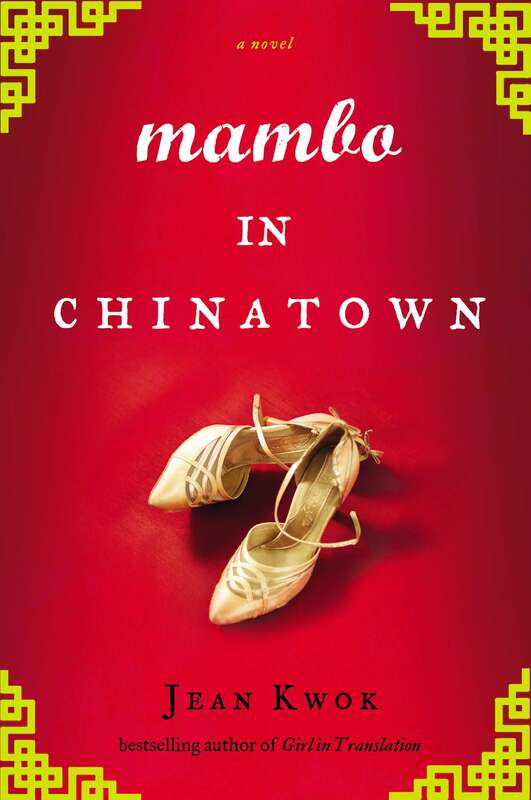 I also wanted to show my readers worlds they might not have seen firsthand: the professional ballroom dance world and Chinatown. There are so many incidents from the book that come from my own life. Charlie goes to her interview at the dance studio in an oversized red dress, a red turban around her badly-cut hair, and black pumps that she has filled in with magic marker to cover up their worn patches. That was exactly what I wore to my interview. I had learned many things in college but how to dress was not one of them! 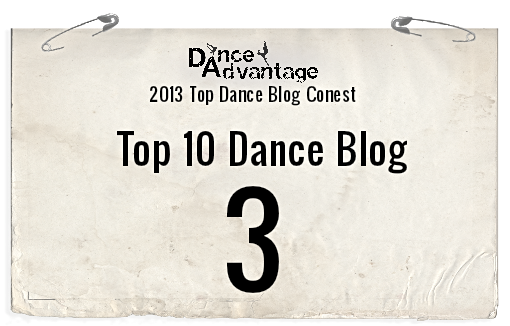 Biggest Girl In The Ballroom: How has dancing enriched your life? Jean Kwok: If I had never discovered dance, I would be a different person today. Dance has taught me about passion, health, my body, grace, humility, beauty and discipline. For me, both writing and dance are ways of accessing the deepest parts of my spirit. Through dance, I rejoice and grieve, I stretch the boundaries of my experience as a woman and as a human being. Biggest Girl In The Ballroom: How do you respond when people say that they are interested in dancing but are too afraid to start? Jean Kwok: Well, I know all about fear and I sympathize. Years ago, I made a decision that changed my life: to never allow fear to stop me from doing something I truly wanted to do. If I had listened to my fear, I would never have stepped into the dance studio and my life would be so much poorer for it. I would also say that ballroom is extremely forgiving. It’s been designed to be easy and anyone can do it. Of course, it also grows with you and the better you become, the harder it gets. That’s why it’s so fun. So there you go! I’m so happy Jean allowed me to be involved with the launch of her new novel. It’s one of the better books about ballroom dancing I’ve had the pleasure to read.